Home People of Eminence Who is Vice Admiral Karanbir Singh, the next Naval Chief ? New Delhi, Mar 23: Government on Saturday appointed Vice Admiral Karanbir Singh as the next Chief of Naval Staff. 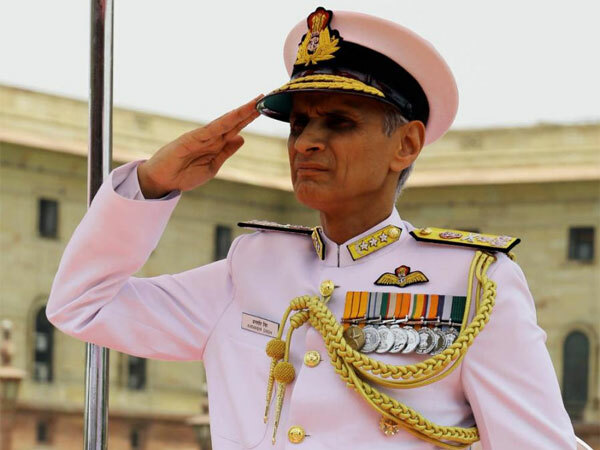 Chief of Naval Staff Admiral Sunil Lanba will vacate the office on 31 May 2019. Vice Admiral Karanbir Singh Vice Admiral Karambir Singh, AVSM, assumed charge as the Vice Chief of Naval Staff on 31 May 2016. The Admiral is an alumnus of the National Defence Academy, Khadakwasla. 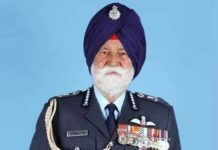 He was commissioned into the Indian Navy in July 1980, the Admiral earned his wings as a helicopter pilot in 1982 and has flown extensively on the Chetak and Kamov helicopters. He is a graduate of Defence Services Staff College, Wellington; College of Naval Warfare, Mumbai and has served as Directing Staff in both these institutions. Indian Navy on alert, deploys nuclear submarines, warships post Pulwama attack In his career spanning nearly 36 years, the Admiral has commanded an Indian Coast Guard Ship, a Naval Missile Corvette as well as Guided Missile Destroyers. He has also served as the Fleet Operations Officer of the Western Fleet. Ashore, the Admiral has served at Naval Headquarters as the Joint Director Naval Air Staff, and as Captain Air and Officer-in-Charge of the Naval Air Station at Mumbai. He has also served a member of the Aircrew Instrument Rating and Categorisation Team (AIRCATS). On promotion to flag rank, the Admiral was appointed as Chief of Staff, Eastern Naval Command. His other important flag appointments include Chief of Staff of the Tri Services Unified Command at Andaman & Nicobar Islands and as the Flag Officer Maharashtra and Gujarat Naval Area (FOMAG). 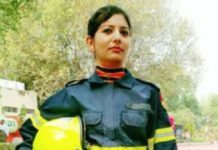 Previous articleTwin bombing at Afghan ceremony kills 3. Next articleUS-backed Syrian force declares victory over Islamic State.